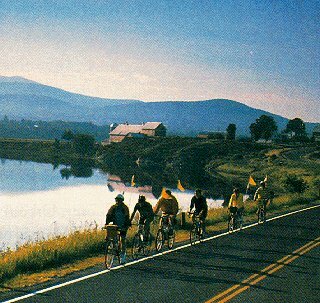 Cycle from inn to inn in Vermont and New Hampshire during these tours. Enjoy clean inns, friendly people and excellent food during your trip. Ride at your own pace, stop when you want and use the van when tired. Travel picture of Bicycling in the Connecticut River Valley.